GoTM: August 2014 Winner Announced! A World of Steam VS. The Fall! During the month of August we saw many terrific games released especially on the Wii U eshop and two games stood above the rest! Those games were SteamWorld Dig and The Fall. And though both games received equally impressive scores during our reviews of the games we could only choose one as the GoTM to avoid two ties in a row! So we deliberated and finally decided on the winner! 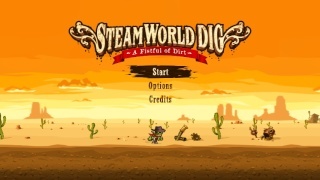 The GoTM for August 2014 is: SteamWorld Dig! Congratulations go out to the developer of this standout title Image & Form! Re: GoTM: August 2014 Winner Announced! Steam World Dig is so fun and addictive! It deserves to be the game of the month!